The north shoreline of Lake Huron in Michigan's Upper Peninsula has long been known as one of the most beautiful and pristine areas of wilderness in all of the Midwest. The Nature Conservancy has recognized this area of shoreline as one of "The Last Great Places" in the Northern Hemisphere, and for many years countless folks have escaped to this area to enjoy the bounty of natural wonders it has to provide. ​Bird watchers, gather up your check list, your binoculars, good hiking boots, and proper clothing for the season. There are early spring and fall migrations during which one can see Common Loons, Red-necked Grebes, Sand Hill Cranes, Great Blue Herons, Canada Geese and an abundance of various ducks. During the early summer to late summer months, good areas in which to bird watch are the Maxton Plains Alvar, and the “Knobs” and Sheep Ranch, accessible from Glen Cove Road. On the south shore at Scammon Point (off of Johnswood Road), and at the end of Warner’s Cove Road, there is a great variety of avian species including Flycatchers, Thrushes, Flickers, Sparrows, Warblers, Ospreys, American Bitterns, and Bald Eagles. And take note of the great abundance of wildflowers. Good searching! 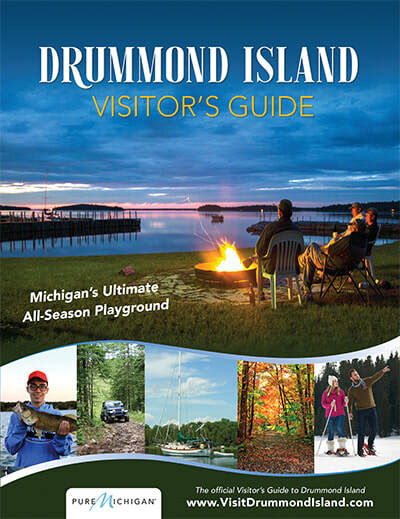 Drummond Island is proud to be part of the newly formed North Huron Birding Trail and highlights seven spectacular locations for birdwatching. Click on the links below for directions to the location, birding opportunities, and other exciting features you may enjoy there. 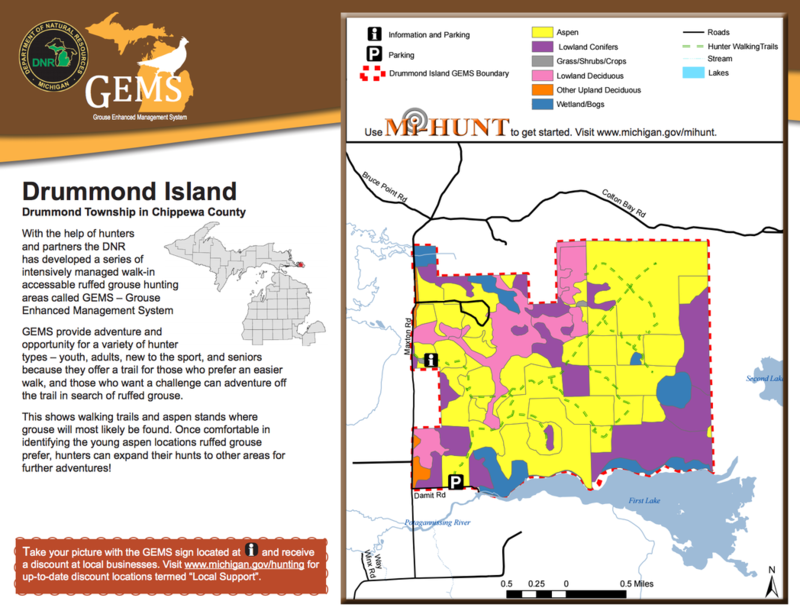 This Michigan DNR owned Grouse Enhanced Management System (GEMS) site was the first GEMS opened to the public in Michigan. 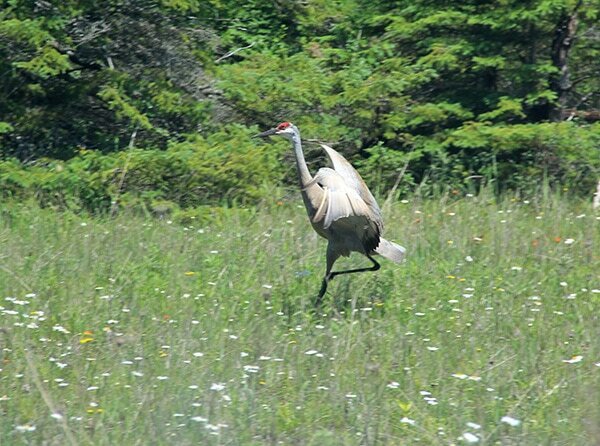 These sites provide unique opportunities for both hunters and birders. The GEMS sites can be found across the state, and are managed to enhance habitat for Ruffed Grouse as well providing trails for a variety of hiking experiences. The GEMS site on Drummond hosts a large number of young aspen trees making it an ideal location for Ruffed Grouse. Other species such as American Woodcock and Golden-winged Warbler also benefit from this type of habitat and can be found at this GEMS location. Nesting Sandhill Cranes and Chestnut-sided Warbler are additional breeding species and Yellow-bellied Flycatcher are often heard near the bog habitats. 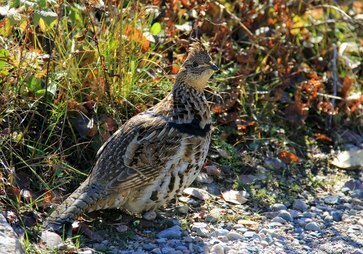 It is important to note that Ruffed Grouse and other hunting seasons are Sept. 15 - Jan. 1 and if you are birding in this area, or any state owned public lands, you should make sure to wear a hunter orange hat or vest.